Jan Brett, author/illustrator of The Mermaid (and about 25 children's books in total) will make an appearance at Barnes and Noble in downtown San Luis Obispo on Dec. 10 at 10 a.m. Look for the big bus decked out in mermaid art. Visit janbrett.com for more information. Third time's a charm right? Goldilocks knew it and so does author and illustrator Jan Brett, who is now on her third iteration of the tale about a young girl (who is admittedly breaking and entering) on her quest to find something that's just right. 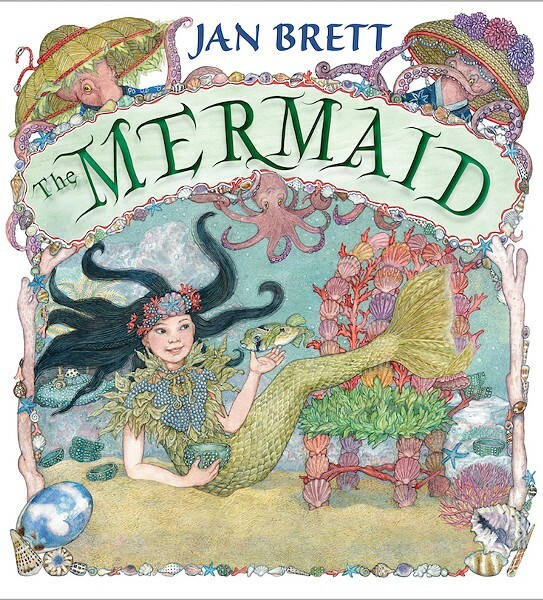 CURIOUS What Jan Brett loves most about the Goldilocks tale is the sense of curiosity it inspires, which led her to write The Mermaid, an under the sea version that features octopuses instead of bears off the coast of Okinawa, Japan. First, she went classic with her own Goldilocks and the Three Bears. Next came The Three Snow Bears, featuring an Inuit girl protagonist and a polar bear family. Then in September, Brett turned the whole fairy tale upside down when she released The Mermaid (recommend for ages 4 to 8), starring Kiniro, a young mermaid who stumbles upon the home of three octopuses off the coast of Okinawa, Japan. And soon the Massachusetts-based author will grace our very own coastline when she and her tour bus decked out with mermaid art make a stop at the downtown San Luis Obispo Barnes and Noble on Dec. 10. Brett, who has more than 40 million books in print, stopped to chat with New Times about storytelling, staying curious, and more. New Times: What inspired the aesthetic and storyline of The Mermaid? 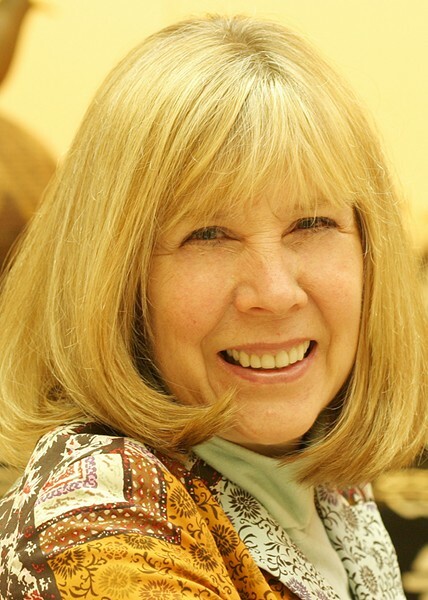 Jan Brett: Ever since I was in kindergarten I wanted to be a children's book illustrator. I loved to draw, and I loved books. I tell my story with my pictures mostly. I've always loved the Goldilocks story. It's about curiosity. Goldilocks is really a metaphor for how you feel as a child because you're doing things for the first time. No one can promise you it'll be perfect, but you'll be glad for the experience. My daughter and her young family lived in Okinawa, Japan, for years and we would visit all the time. I thought it was really a beautiful place. I left a bit of my heart there. NT: What does your writing and illustrating process look like? JB: I'm always thinking about what the next book will be. I get the idea and think about it while I'm running. I'll write the story and make sure it's something I can draw. Then I'll do a book dummy, which is done in a looser, sketchier style. I'll try to figure out the arc of the story and the characters. AUTHOR AND ILLUSTARTOR Jan Brett started out as an illustrator but ended up becoming a double threat as a way to get her work published. JB: I have a real need to communicate in an artistic way. For me, the way I can express myself is with my art, and they're like little conversations. NT: What do you want your young readers to take away from The Mermaid? JB: I want them to go to other countries and experience other cultures. I want them to think of imagination as a problem-solving tool, as something exciting. I want them to get a sense of how beautiful this world under the ocean is. NT: Do you have any upcoming books? Arts Editor Ryah Cooley always wanted to be a mermaid. Contact her at rcooley@newtimesslo.com.